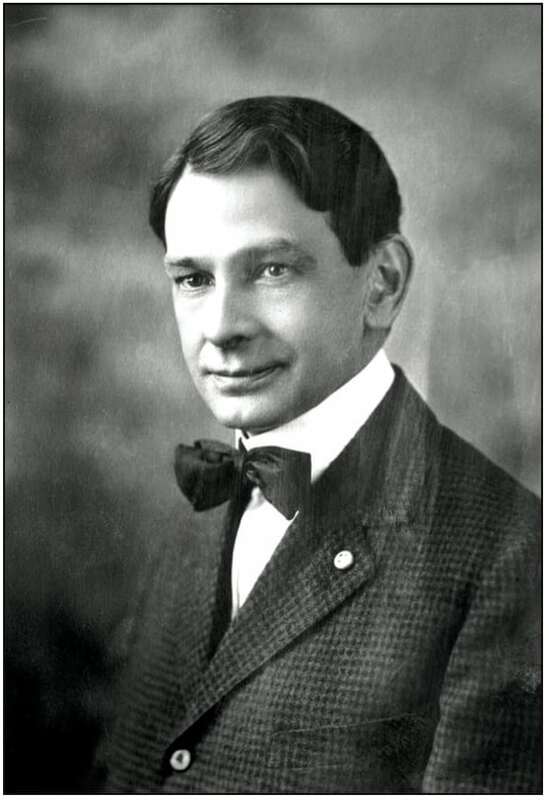 Laurence “Larry Ho” Hodgson (1874–1937) was a unique combination of poet and politician, a prolific writer who produced thousands of poetic and prose works. But he was also an active participant in politics, serving in a variety of roles for the Democratic Party. He grew up in Hastings, Minnesota, and after completing high school he was hired by a newspaper and worked his way up. Around 1901 he began working at the St. Paul Globe. By 1903 he had a column called “Cabbages and Kings” that appeared daily in the Dispatch. He also served as a sports editor, a literary editor, and then an editorial writer. He became a sought-after public speaker. In 1907 the political aspect of his life kicked in when he become secretary for Minnesota’s Speaker of the House. He then served in Governor Lind’s administration and later became secretary to Democratic mayor Winn Powers, in office from 1914 to 1916. The next mayor, a Republican, retained Hodgson. Hodgson was elected by a large majority and eventually served four terms—from 1920 to 1924 and 1926 through 1930. He even ran for Minnesota Governor on the Democratic ticket, losing but making a decent showing. After leaving office he returned to newspaper work. His home at 1039 Van Slyke had a library of 7,500 books and a third of them were mysteries. About 40 years ago, Clague Hodgson and I did one of those spontaneous hippie road trips. Our aim was to shoot ducks up in Fergus Falls. Oddly enough — in the cold, gray dawn — we actually knocked down a dozen mallards. Later we warmed ourselves in an old bar, filled with antiques — found some yellowing Saint Paul newspapers from the 20’s .On the cover of the first paper was a photo of Mayor Larry Hodgson — Clague’s grandfather, with his City Attorney -my great uncle: Eugene O’Neill…Old news, but new to us before the trip, we knew nothing of our respective family histories. Mike, that was a great duck shoot. I remember it well.